Not long ago I posted a tutorial on how to make troll headbands. It blew up the internet (ok not really but it did reach a TON of people). With that came a lot of emails, messages, comments, and questions from readers. 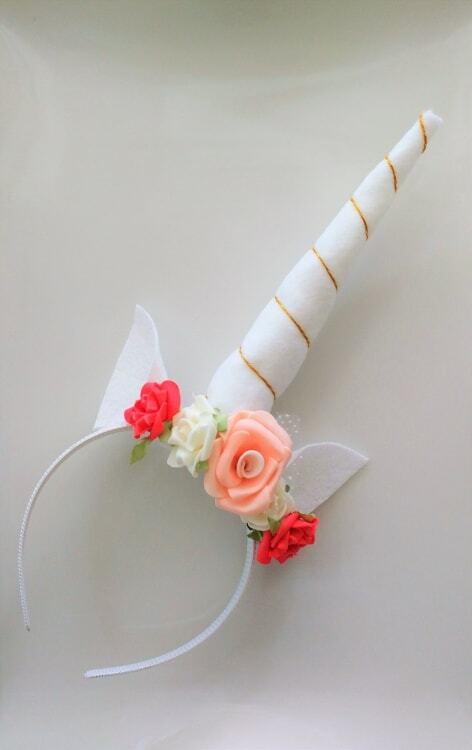 One woman messaged me on Facebook book asking me if I could do a tutorial on how to make an easy unicorn headband. I responded that I love a challenge and that I would see what I could do. This tutorial was the result. 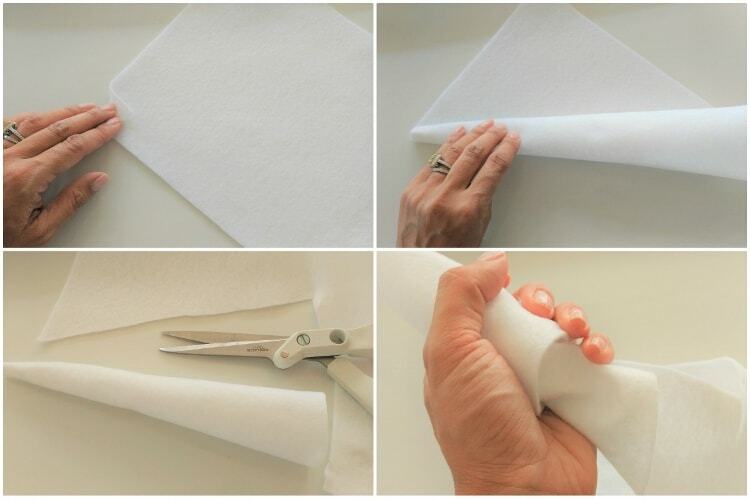 First, make the horn by rolling a piece of white felt into a narrow cone and hot gluing it together. Cut the horn off at the desired length. Cut a rectangular strip of white felt using the base of the horn as your guide. This will help attach the horn to the headband. Set the rectangle aside. 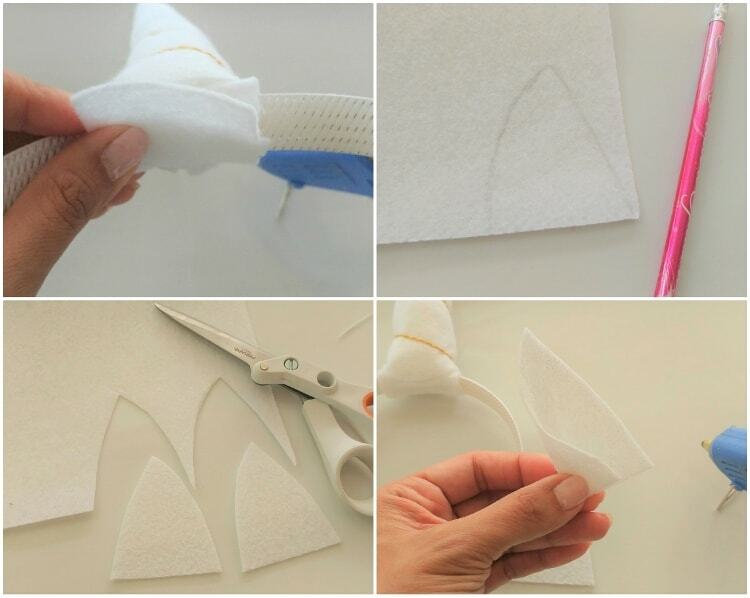 Use the remaining white felt scraps to stuff the inside of the horn. Next, glue the horn base to the center of the rectangle piece. Place a small dab of hot glue at the tip of the horn on the back (side with seam). Place the end of gold yarn at an angle (angling down) and allow the glue to dry. 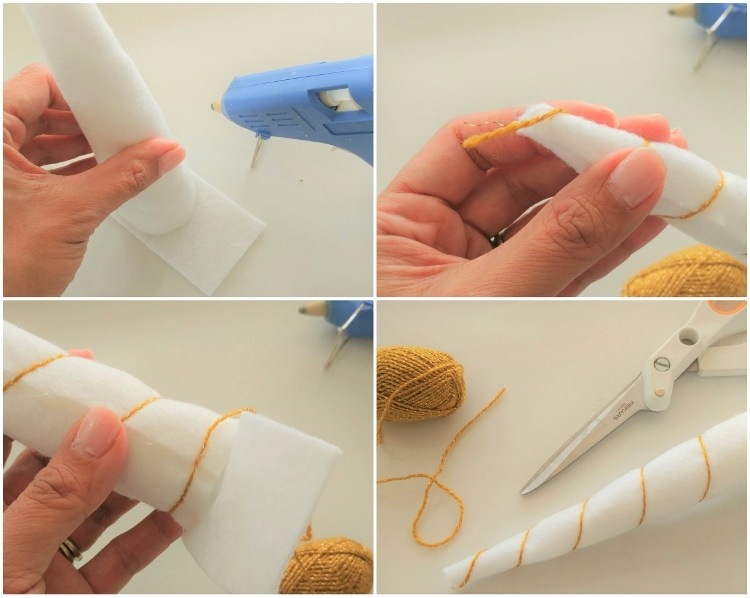 Wrap the yarn around the horn in a spiral until you reach the base. Place another dab of hot glue at the bottom (back) and secure the yarn. Once the glue is dry, trim the thread at both ends. Glue the horn to the center of the headband by wrapping the rectangle around the headband. Next, using a pencil, draw the unicorn ears on the stiffened white felt and cut it out. Use the first ear as a template to cut the second ear. 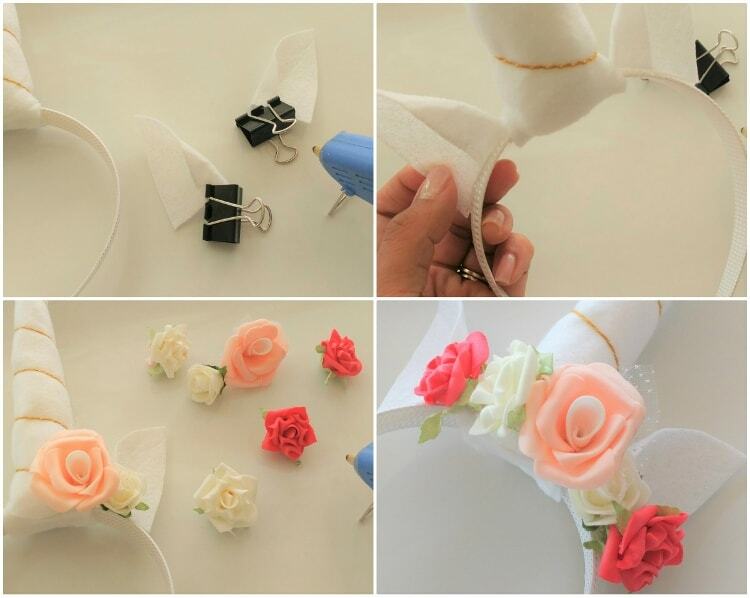 Fold half of the ear forward and glue. Repeat with the other ear. Use clips to hold the fold down while the hot glue dries. Glue the ears on either side of the horn with hot glue. Decorate the front with craft flowers. There you have it! 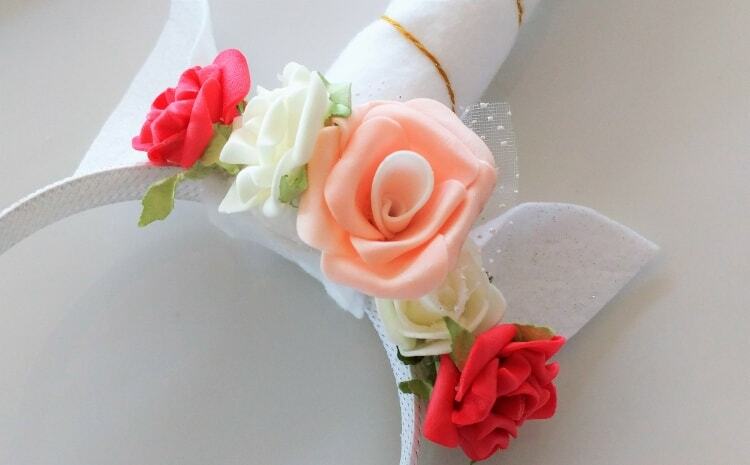 This headband would be cute for a birthday party or for a Halloween costume. You can also make different colors. In case you missed it, check out my tutorial for how to make a flower crown and how to make Troll headbands!